I’m not usually a big fan of breakfast. My husband, however, likes breakfast more than pretty much anything. We both LOVE brunch. We’re so LA. I thought I would share one of our favorite brunch items with you. 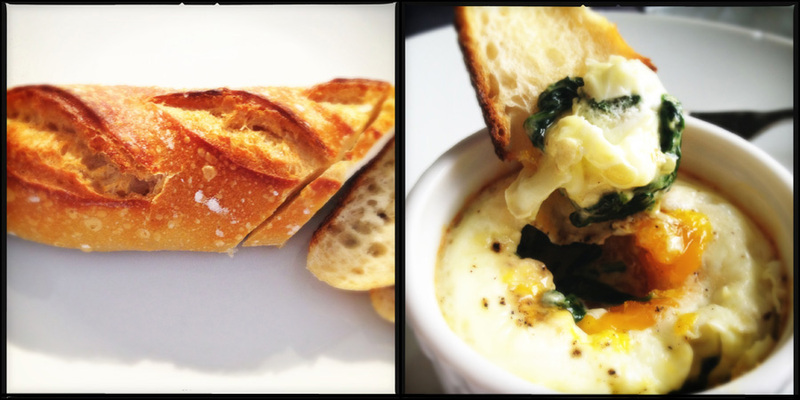 Baked Eggs with Spinach and Parmesan. Deeelicious! For this recipe you’ll need four 8 oz ramekins. Cook shallots in butter and olive oil in a large saute pan over medium heat, stirring until they are translucent, about 5 minutes or so. Add the spinach, it will seem like a lot at first, but don’t worry, it’ll wilt down. 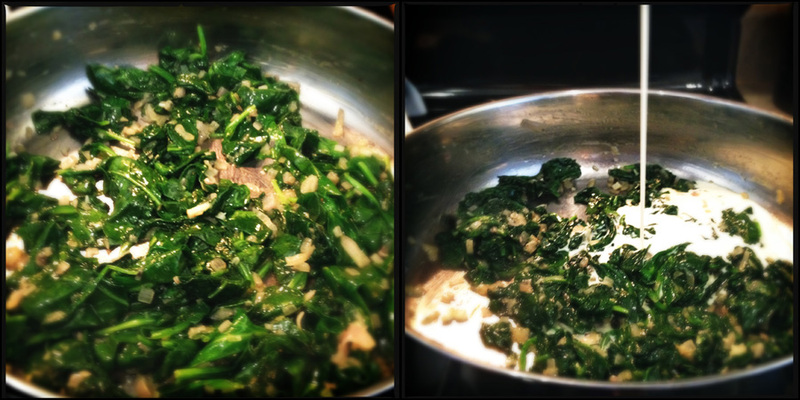 Cook the spinach, stirring often, until it is completely wilted, and all the liquid has evaporated, about 5 minutes. Add cream, nutmeg, salt, and pepper, while stirring occasionally, until the mixture is slightly thickened, which should be about 4 minutes. 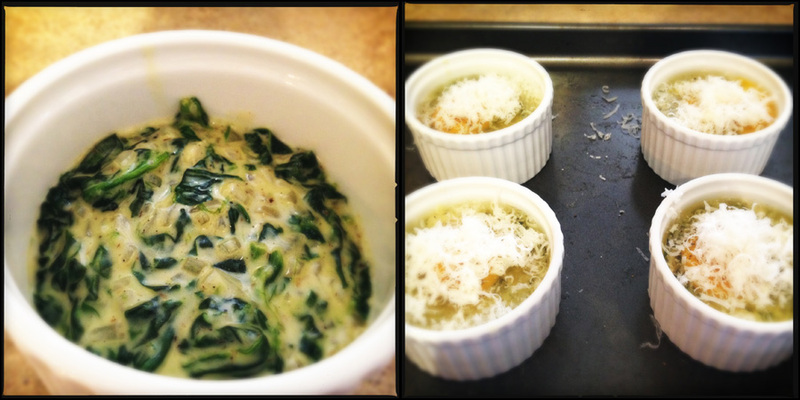 Place buttered ramekins on a baking sheet, and add equal amounts of the spinach to all ramekins. Then, add about a tablespoon of cheese to each ramekin, and make a slight indentation at the center. I like to crack each egg individually into a measuring cup, and then gently pour into the ramekins. Top each one with a pinch of salt, freshly cracked black pepper, and about another tablespoon of the cheese. Bake in the middle of the oven until the egg whites are set, which should be about 13 minutes. 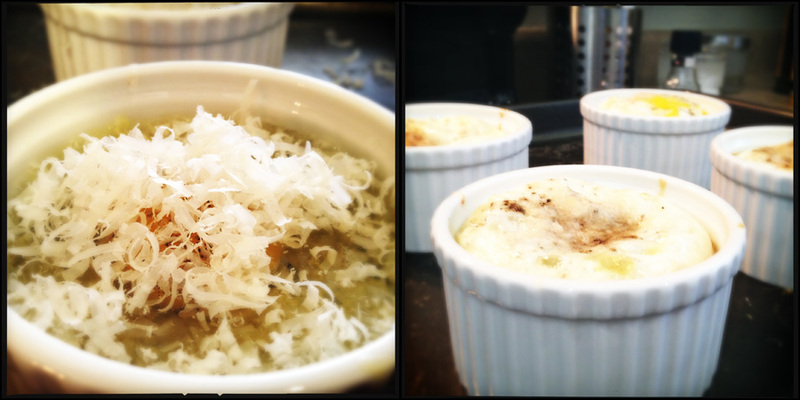 Serve in the ramekins with buttered toasted bread. I really want pink tulips!